Blondie has a new album out. Two, actually. New/Old and New/New. The New/Old are new recordings of their bigger hits. I totally get why Blondie needed to do Redux. The record companies have stiffed most artists for years on their recordings and royalties. Artists like ELO (aka Jeff Lynne) and Suzanne Vega have been re-recording and re-releasing their material for the last few years on their own labels, by-passing the ever-gouging big label system. Now folks who purchase those versions, the artist gets the money more directly and more of it. 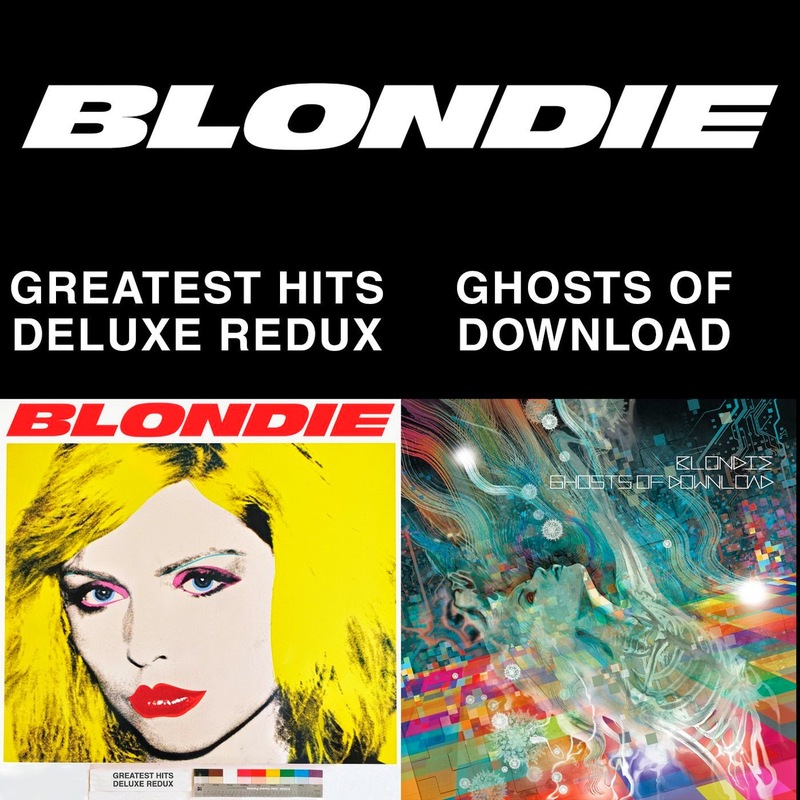 Blondie just did the same with the Redux portion of their new double disk Blondie 4(0)-Ever. Yet I have so many versions of 'Best of' that it probably wouldn't be worth it - and it isn't. Since they are re-recording, they are not re-imagining the songs. The music is, for the most part, true to the original versions. I'd have been happier with cool new arrangements, but that was not meant to be. Let's just say the songs come off as a mediocre-to-bad Blondie cover or tribute band. I know Ms. Harry is 68, but I can't get past on the familiar tunes where it sounds like her Super Poligrip isn't adhering well enough. "Heart of Glass" "One Way or Another" "Sunday Girl" and "Dreaming" get almost into slushy esses territory. Oddly (or maybe not) "Maria" comes out the best of the bunch. Maybe it is because it is from a later release (1999). The second half of the release, Ghosts of Download, is new material. Ghosts has its moments, but it is never going to meet the apex of the band's talent. Clem Burke, whose drumming used to be such a driving force of the band, is now so muted, it could be anyone playing. And I know I should embrace change, but with half of their classic line-up gone, anyone could be playing this marginalized electronic based music. While Blondie certainly incorporated Ska or Caribbean moments into their earlier works, it is becoming so prevalent on Ghosts that this sounds like outtakes from a No Doubt record from 15 years ago. I'm loving "Rave". Their first two singles, "A Rose By Any Name" and "Sugar on the Side" fail to deliver. The latter is better than the former, but then the "guest vocalists" just ruin it. Completely. And if you're going to pick a duet partner (Beth Ditto on the "A Rose..."), then they should have a distinctive voice and not just blend in. But there are moments on this record that have so much potential: "Can't Stop Watching", "Take it Back" and a few others, but the songs miss the mark more often than hit it. To me it comes down to the music. There are too many over riding electronics and sounds to make me care. It seems they spent more time programming computers and synthesizers than writing or recording the music. And while Harry has never had the strongest of vocals, she was distinctive. That still comes across here, but through a series of electronic filters and auto-tune. I have everything Blondie has recorded, but next time I won't pre-order. I will listen to what they're selling, because I might not be buying.